Why do you have so much pictures that aren’t from Tohomobile? It seems that Yoochun finished filming his drama. Q: do you think yoochun is balding?/has less hair? take his clothes off! Please let yoochun too! A: Is he going to take off his clothes or not? 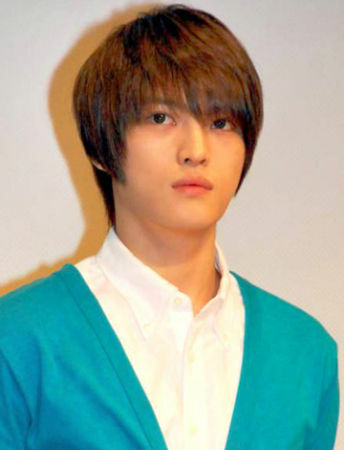 Korea’s popular 5 members group who recently announced their activity suspension, “Tohoshinki” member Jaejong(24) appeared on stage for Fuji TV drama “Sunao Ni Narenakute” press conference and there was talk about him “screaming his soul”. 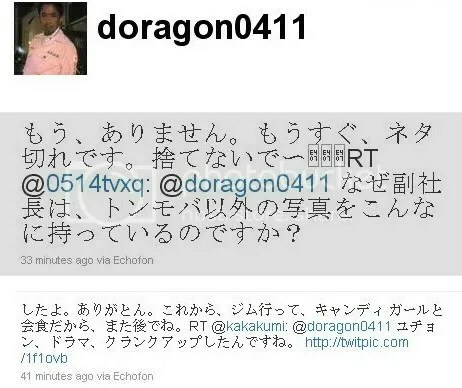 This is Jaejoong’s first drama in Japan which is about 5 people who meet through out internet site “twitter” where you can say what you’re doing within 140 characters. He plays a medical equipment salesman in Japan who comes from Korea. He said excitedly “I’m really excited today that I might look weird”. Today was the first time for the casts to appear on stage. 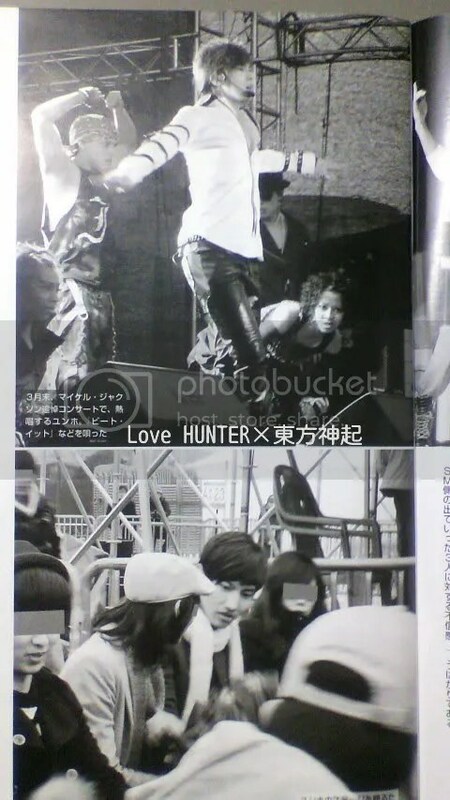 The scene Jaejoong was shocked by was when Linda (Tamayama Tetsuji) was working and his editor (Watanabe Eri) kissed him. He said he blushed red and screamed “Nahhhh~!! !” and accidentally screamed when he saw the seductive scene. Yesterday we finished filming episode 1 that will air on the 15th!! From yesterday we’ve been working all night to make it on time to air!! 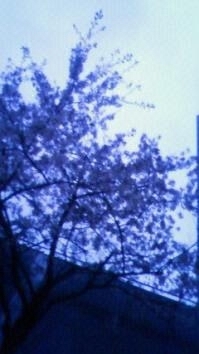 will join “Yoru no Waratte Iitomo! Spring drama festival” Don’t miss the 5! since we finished filming episode one. Narenakute” (Fuji TV). There was many cheering as he came out with the double main characters Eita and Ueno Juri. “Hello this is Jaejoong.Thank you for coming. This is my first time in a Japanese drama and I was nervous in the beginning but thanks to everyone around me who was nice, I am able to have fun filming.” He said and showed how healthy he was to the fans. More than 10,000 inquiry e-mails from fans about Indefinite activity pause! Tohoshinki who suddenly announced their activity pause. 8 months after from troubles about their contract. In Seoul there was a Michael Jackson tribute concert. This was popular dance vocal group Tohoshinki Yunho’s solo concert. Also same group member Changmin came to watch him. 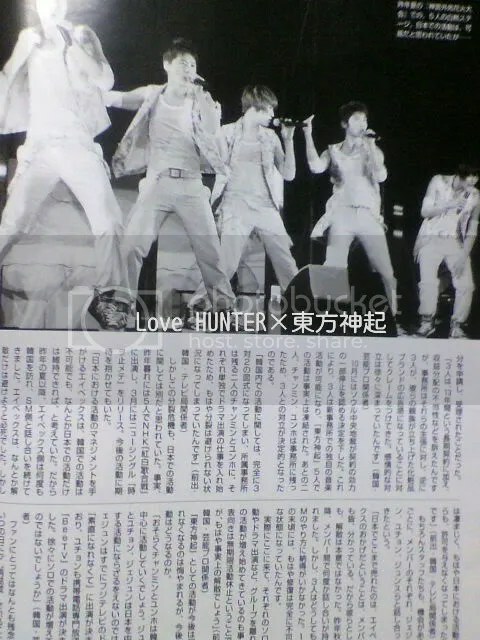 1 week after this Tohoshinki announced their indefinite activity pause. In October their pause of activity in Korea was decided. For the 3 got a new production and the 2 stayed at the original production it became the 3 against 2. In Korea Yunho and Changmin started a drama and it was impossible to work as 5. But this 3 against 2 was thought only to be in Korea and never in Japan. Last year they were in “Kohaku Utagassen” and even released a CD single in March. We all looked forward for their activities. 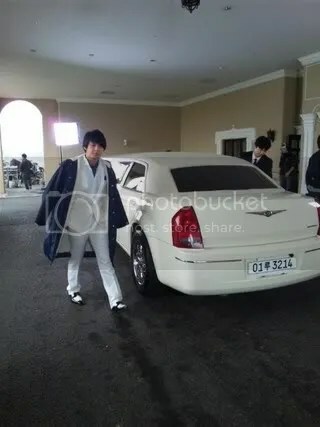 But the staffs kept connection with each member, Jaejoong, Yoochun, and Junsu. “All the members know that Avex was the one who supported them to the point they were able to come all the way here in Japan. The members all wanted to avoid ending Tohoshinki so they talked a few times but the 3 couldn’t agree with how SM entertainment works. And it was impossible for them to work together. 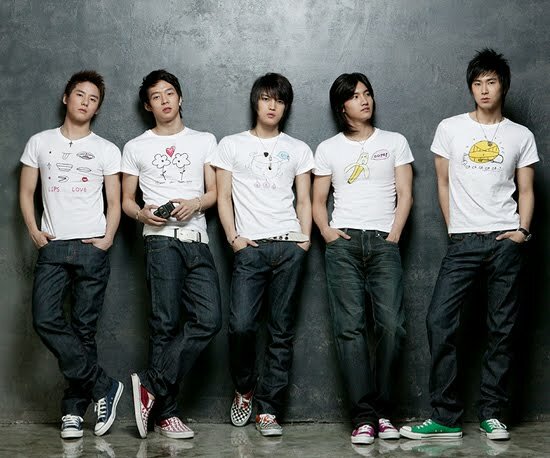 Changmin and Yunho will probably work mainly in Korea and Jaejoong,Yoochun,Junsu will mainly work in Japan. 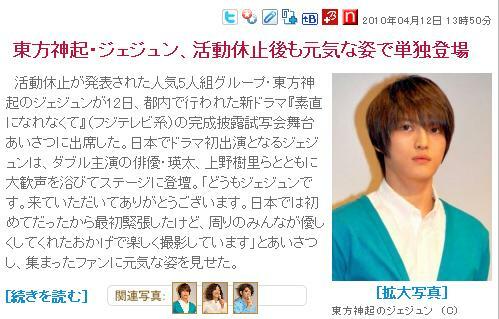 Jaejoong already has a drama to do on Fuji TV “Sunao Ni Narenakute” and Yoochun will be doing a mobile drama on Bee TV. Many solos activities are waiting for them. For the fans it must be devastating but one day hopefully they will work as “Tohoshinki” again. 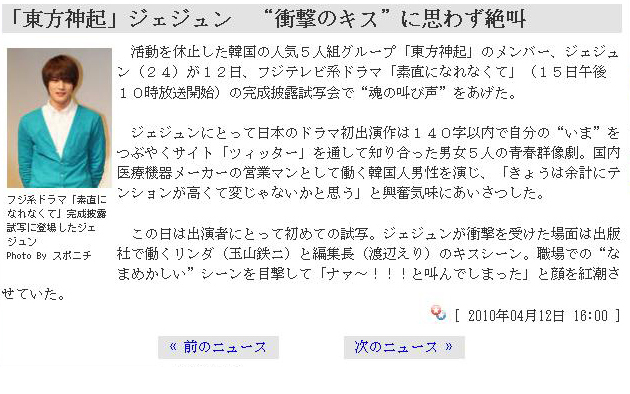 A loss of 60 Billion Won (a/n: equivalent of 54 Million USD) will incur with the stopping of Tohoshinki’s activities, according to the analysis of Japanese critics. 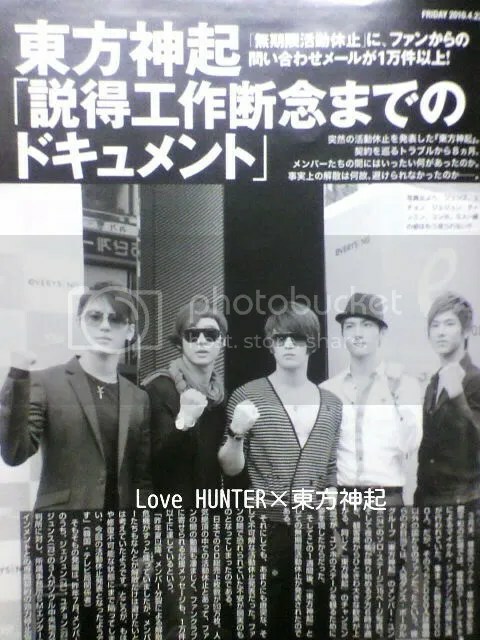 On the 5th of April, Japanese music critics reviewed on the website ZAKZAK: “Tohoshinki’s stopping of activities in Japan will cause AVEX to suffer the cost of 5 Billion Yen (60 Billion Won)”. 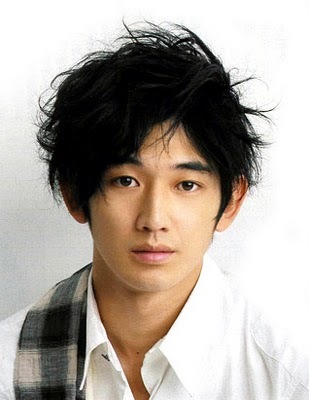 Eita: In my opinion, Jejung is a very straightforward and honest person. During our photoshoot for the promotional poster, I was pondering to myself– when Jejung wanted to express his feelings and thoughts, did he go over it once through his head in Korean, and then change it to Japanese when he says it out loud? In the drama, there will definitely be some type of complicating entanglement between our characters in the future. I do hope that before that happens, I can be more in contact with Jejung so when we are together, it will be more enjoyable.